On October 15, Fr. 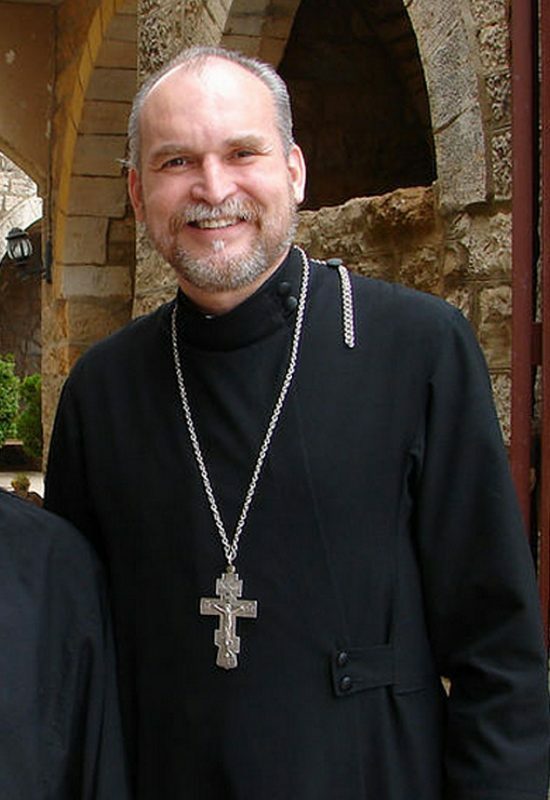 Mark Tyson, formerly of the American Carpatho-Russian Orthodox Diocese (ACROD), a jurisdiction of the Patriarchate of Constantinople in America, was received into the jurisdiction of the Russian Orthodox Church Outside of Russia (ROCOR), citing irreconcilable disagreement with Constantinople’s recent actions in Ukraine. Now a second ACROD priest has made the same move. In a letter to the parish posted yesterday on the site of the ROCOR Cathedral of St. John the Baptist in Washington, D.C., rector Archpriest Victor Potapov introduces and welcomes Fr. Nectarios Trevino to the parish. On October 28, an entire parish in Italy switched from Constantinople to ROCOR, and in Stockholm, 16 people were expelled from their Constantinople parish for no longer recognizing Patriarch Bartholomew as their legitimate hierarch. Fr. Nectarios was ordained to the priesthood on the Feast of the Holy Myrrhbearers in 2002. He was assigned to Nativity in July of 2002. Fr. Nectarios is a retired U.S. Air Force Lieutenant Colonel and served in various posts across the U.S., Korea, and Saudi Arabia. He served on General Schwartzkopf’s staff as an Executive Officer during the Gulf War in 1991. He is the recipient of the Distinguished Service Medal, Bronze Star, three Meritorious Services Medals, and the Air Force’s Commendation and Achievement Medals. He was the U.S. Air Force Intelligence Company Grade Officer of the Year in 1985 and was a U.S. Air Force ROTC Distinguished Graduate. Fr. Trevino is a graduate of the State University of New York – Albany (Bachelor of Science, Liberal Studies), Southwest Texas State University (Bachelor of Arts, Political Science) and Georgetown University Law Center (Juris Doctorate) as well as the U.S. Air Force’s Squadron Officer’s School, the Armed Forces Staff College of National Defense University, and the U.S. Air Force Air University, while a National Defense Fellow at the Mershon Center at The Ohio State University. At The Ohio State University, Fr. Nectarios authored and cotaught a course on The Law of War at Moritz College of Law. He has also been an Adjunct Professor of Leadership, teaching at the National Military Intelligence College graduate school.